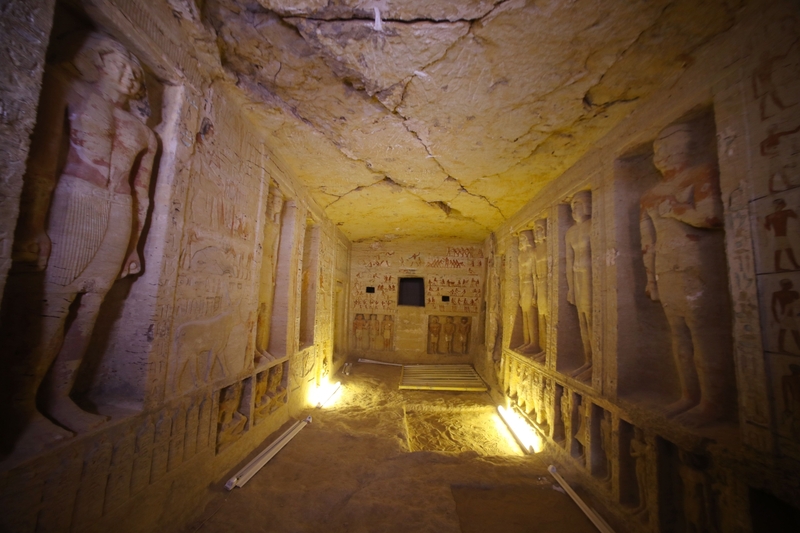 "Archaeologists have unearthed an intact tomb from the 5th Dynasty in the necropolis of Saqquara that is replete with exceptional statuary and painted reliefs. 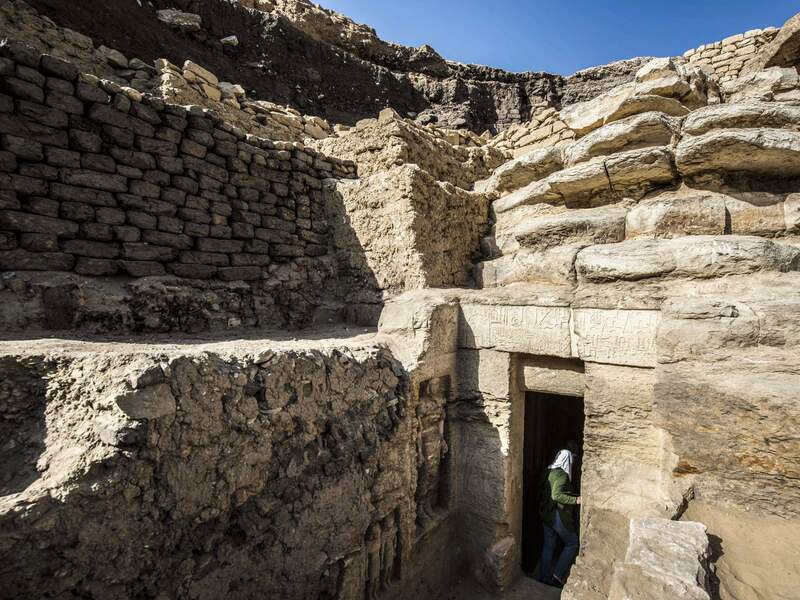 Discovered 16 feet under a buried ridge, the entrance to the tomb was carved with a hieroglyphic inscription included the name and titles of the deceased: Wahtye, royal purification priest, royal supervisor, and inspector of the sacred boat under Pharaoh Neferirkare Kakai (reigned ca. 2446–2438 B.C. 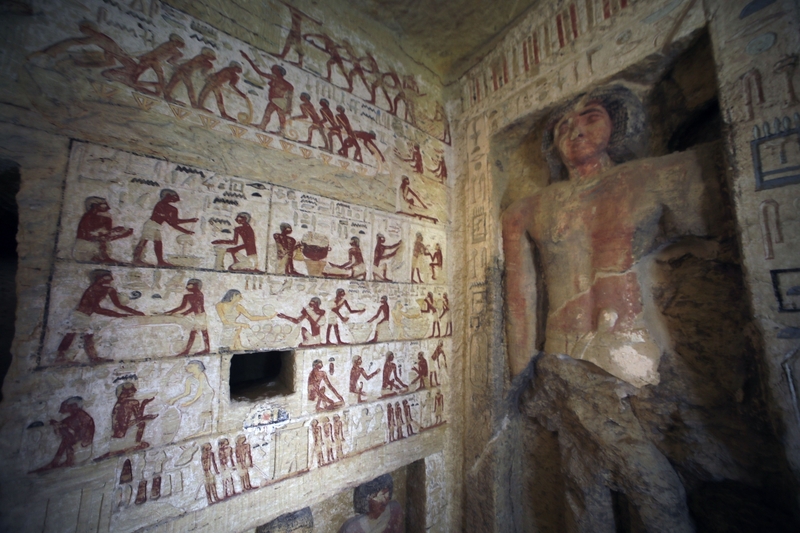 ), the third king of the 5th Dynasty…."